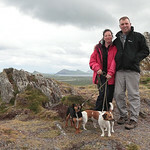 hi we are yvonne and john and this is our photo website. the pics are mainly from the uk and generaly where we end up on hols. just tell everyone where you got it.